Are you looking for an easy gift idea? Well, my dears, you have found it! 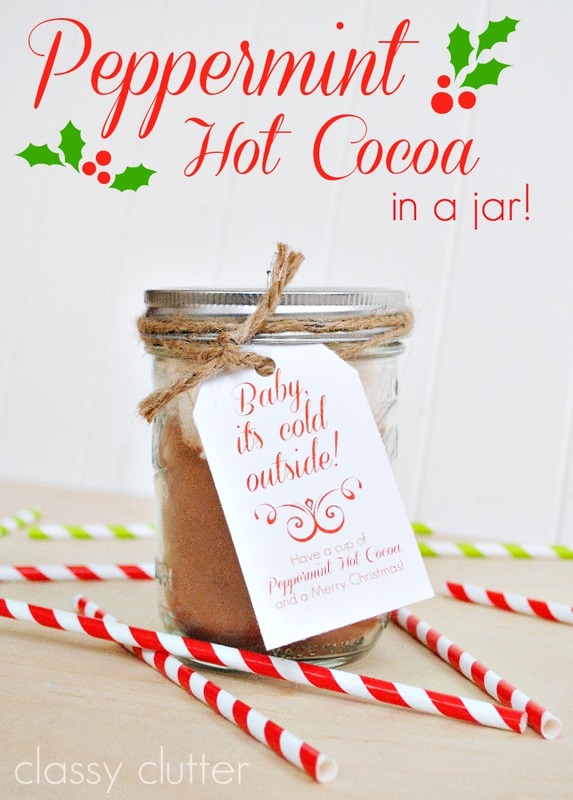 This Peppermint Hot Cocoa in a jar is pretty much the easiest (and yummiest!) gift idea out there. I was able to create this using things I had on hand, making it the most inexpensive gift ever! You can make a bunch at a time for neighbors, friends, teachers, coaches, visitors, family, etc. 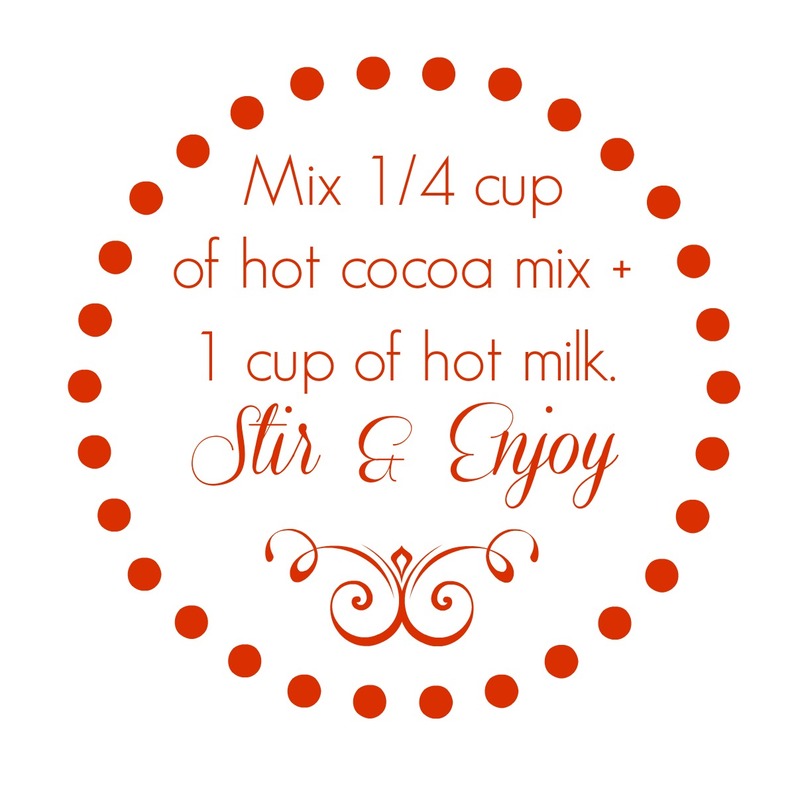 Hot Cocoa mix – I used Starbucks Peppermint Hot Cocoa packets because it’s the best hot cocoa on the planet. YUM! The software is super easy to use and Avery has such nice products. I’ve used Avery labels for years and I love them! You can save and use my images if you’d like! Next, I did the same thing with the Avery Printable Gift Tags. I used this image, uploaded it to Avery.com, printed my tags and attached them with jute to my jars. Doesn’t get much easier than that! You could even use Design and Print on their website if you want to make your own images. It’s really quick and easy and looks totally professional and CUTE! Now you’re ready to give this yummy gift to anyone you choose! I’m giving them to pretty much everyone on my gift list this year. 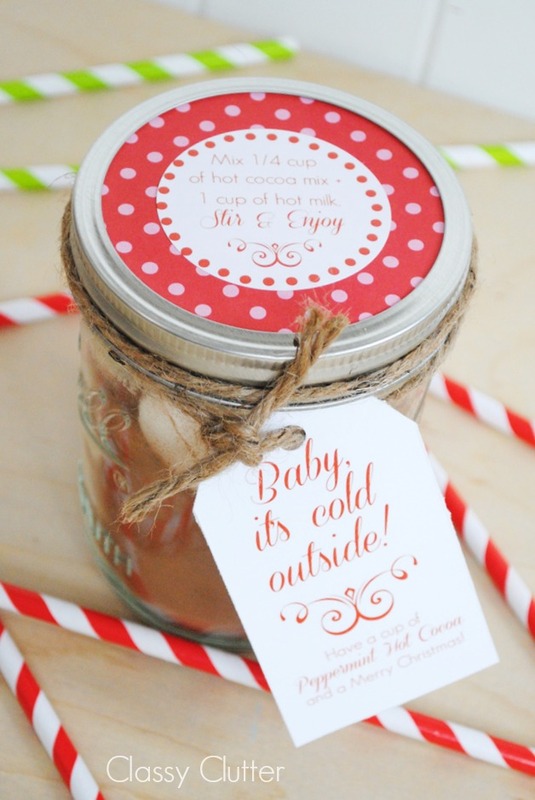 For more ideas on labelled jars, visit Avery’s Pinterest page. Be sure to follow Avery on Facebook and Pinterest for more labeling and organizing inspiration! So you wanna make some? Avery is giving away a $100 Visa gift card to one lucky reader! All you have to do is comment and tell us when labels are typically useful to YOU!?? This sweepstakes runs from 11/11/13 – 12/15/13. Be sure to visit the Avery Labels Page on BlogHer.com where you can read other bloggers’ reviews and find more chances to win! I love labels when organizing, especially for opaque containers. Labels are useful when sending my kids with goodies to hand out at school or when labeling their lunches or belongings. I always use labels to organize my little plastic containers of make up. 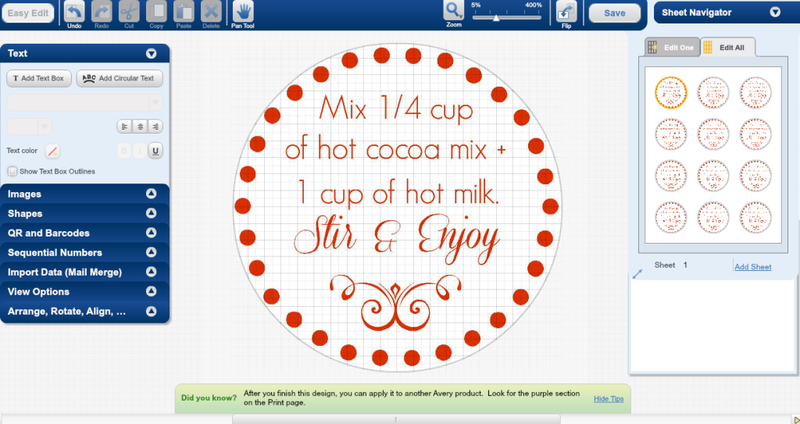 I love labels that allow me to be crafty using the computer to add words to a project without hand writing it all out…especially the clear labels!! I use avery labels a lot. I use the address labels for more than just addresses. I also like the bigger shipping labels for gifts too. I label everything – spice jars, shelves, baskets, bins, etc. I use them a lot during the holidays. I use labels all the time especially at work. We use the 1 x 1 1/2 labels on the spine of books in my library I work at 🙂 I use the address labels here at my house! I love to use labels for the bins in my storage room. I love to use them when I am organizing my pantry! I love labels for organizing, and for making custom stickers for my daughters’ craft projects. I just use labels mostly for organizing! Labels are useful for storing our homeschool materials. I like to make labels listing the ingredients with baked goods that I give as gifts. It helps people with allergies to determine if there is anything that will cause a problem. I have used Avery address labels forever but I just found some that will work great in my craft room. I use labels to put on my son’s things for school. They make me feel so much more organized! Great idea for easy gifts. Maybe for the neighbors? I love using labels to organize. I love this idea… It will make a great teacher/coach gift! Thanks! Such a cute idea! I love to use labels to make my own gift tags. And printing out my addresses for Christmas cards. Total necessity! On all my kids stuff. Weather it’s their instrument,phone, lunch bag. I totally use them for gifts (it makes them ten times more exciting to have a pretty little label) and when organizing. I use labels for organizing toys! I really love to label everything and find them useful in separating my children’s things. Labels are useful to me for storage boxes of all kinds. i love labels for xmas cards!!! I like to use labels for my mason jars and gifts. Hello there! I love to use labels as seals on cards – they look sweet with monograms, and who doesn’t love a customized envelope in the mail?! I love using labels for organizing boxes in my closet! Labels labels everywhere! In the kitchen and the office, to label my kid’s ‘stuff’ — where can’t you use them?!? When ISN’T there a good time to use labels. And having great labeling tools / products / tutorials makes it that much better! Labeling all of the storage containers filled with my son’s toys and clothing. I’m hoping for a second child and want to keep everything organized so we can easily access the hand-me-downs. I use labels in a variety of ways around the home and tend to find them perfect for organizing my children’s craft supplies. I also use them to address gifts over the holiday season! This looks so delish! Thank you so much for sharing at our mason jar holiday party!!! I usually use address labels. Storage containers, especially when moving from one state to another, like we did last year! We labeled boxes but not the smaller containers inside and that got to be a bit frustrating. 🙂 Lesson learned! I use labels to organize toy bins and pantry. 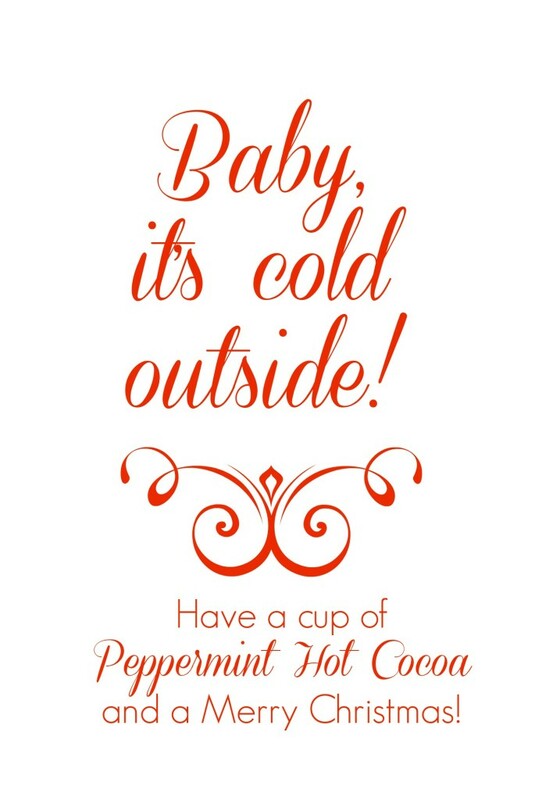 I’m making my gift tags this year….no store bought ones anymore. This is going to fun!!! During, back to school time, I use tons of labels! I use them mostly during back to school time, it makes labeling all those school supplies a breeze! I love using them to label gifts any time of year. I label my daughter’s clothing and lunch items for summer camp. Labels are most useful to me when I am completing home organizing projects. I can use them to send out holiday cards and organize them. I love professional looking labels, a treat for organization freaks like me. Useful for gifts anytime of the year. I use labels every year for addressing my holiday cards – saves me writing 80 addresses by hand! Labels are useful for putting kids names on clothes, shoes, and such. Oh my….these are so beautiful and handy. I use labels all the time because I like to bake and always give out homemade gifts, especially around the holiday seasons. I will definitely try them out. thanks for sharing. For my DIY projects, I use them a lot in the garage work area, I label all the bins with the different size screw, nails, nuts and bolts etc. When we need a wood or metal screw, we know which bin to pull up.. saves us time. I also label all the kids school supplies when they start back in the fall. I try to use a cute font and add their favorite character to the label, so it sticks out and they can find their folders or books quicker. I use small labels on my spice jars, and larger labels on my plastic shoe boxes. I use labels for everything – it’s so easy to change the contents of boxes and slap a new (and pretty!) label on it. Address labels around the holidays are fun, too. I love to use labels in the pantry, craft room, and as gift tags for my homemade caramels. They are super necessary for labeling any lotions/soaps/etc. you make yourself so you can keep track of fragrances and uses! Labels are useful to me all the time since I’m usually so unorganized. They help me identify the stuff I store in jars or containers. 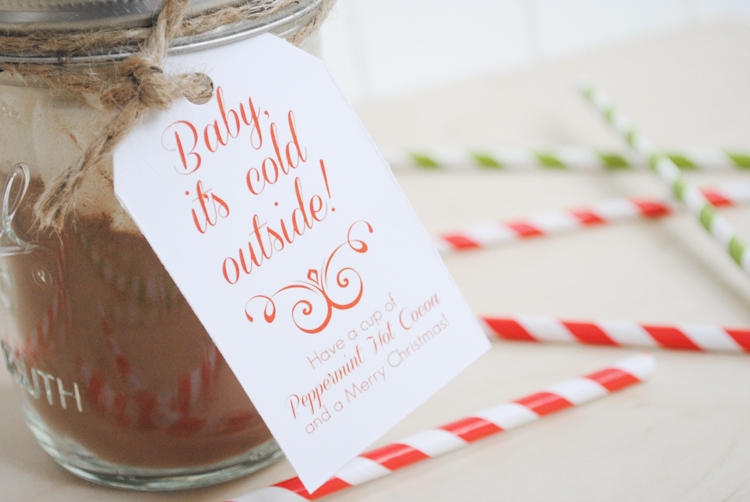 I love printable labels for Christmas gifts, too. I love using labels this time of year for Christmas goodies! I label everything especially if it is in a container I’ve repurposed. I like making my own dry mixes and storing them in attractive glass containers. A label is a necessity. 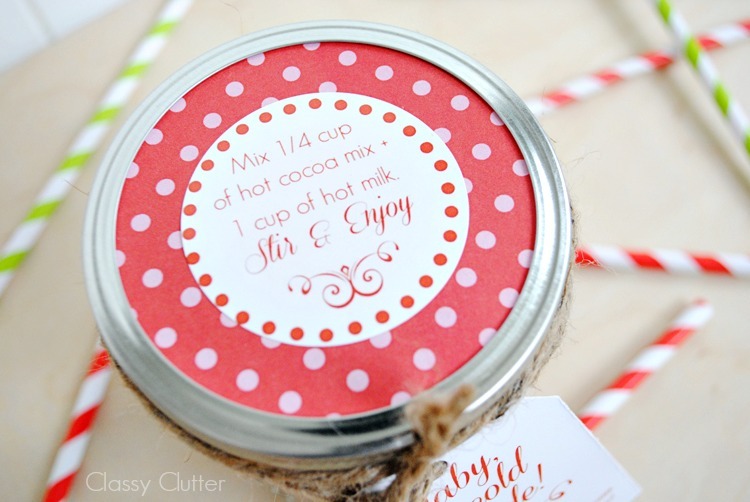 Of course labels make things easier and more attractive for gift giving and storage. I use labels to organize my mountains of paperwork. I love labels and use them when canning!